While shopping and skyscrapers remain top-of-mind for Hong Kong visitors, don't count the city's museums out. The museums in Hong Kong are some of the best in the region, and there are plenty to choose from. Below we've put together what we feel are five of the best must-visit musems in Hong Kong. There's something for everyone: we've got the highbrow, the historical and the chance to blow some bubbles. In a city that is often accused of being soulless, the Hong Kong Heritage Museum (official site) is a fascinating exhibition that sketches out the city’s cultural past, from backwater fishing village to thriving metropolis. Museum highlights include a series of time tunnels that reconstruct pivotal periods in the city’s history, including traditional village life, British rule and modern times. This is a great museum to get a handle on what makes Hong Kong tick and how the city defied geography and common sense to become one of the world's biggest metropolises. As the name suggests, the Dr Sun Yat Sen Museum (official site) documents the life and times of China’s most famous revolutionary, particularly where they intersect with the history of Hong Kong. Known as the father of the nation, Sun had intimate ties with Hong Kong including his years in high school and university. It was during his stay in the city that he started cooking up his plans to overthrow the Imperial Chinese government. The museum holds a somewhat dry collection of personal artifacts, photographs and reconstructed scenes, but is also at the heart of the Sun Yat Sen trail; a tour of historical buildings related to Sen.
A sure fire winner if you’ve got the kids in tow, the Hong Kong Science Museum (official site) boasts nearly 500 exhibits, two thirds of which feature wheels whirring, cogs spinning and bits and pieces to press and pull. Some of the real crowd-pleasers include the motion, sound and light rooms, where you can make music with your hands, throw a curve ball and play the bubble races. This is theme park education, and with a world of mirrors and a flight simulator, not only will you learn more here than at Hong Kong Disneyland, you might just have more fun! Opening Hours: Mon, Tue, Wed, Fri 1p.m.-9p.m., Sat and Sun 10a.m.-9p.m., closed Thursday. Somewhat off the beaten track, the Hong Kong Museum of Coastal Defence (official site) is one of the city’s most overlooked museums. The main pull here is the setting, which is the beautifully preserved, 100-year-old Lei Yue Mun fort. The exhibits inside are a very decent selection of uniforms, maps and guns which trace Hong Kong’s military history from the early Ming period through British Hong Kong and the arrival of the PLA. Arguably the, best most engaging exhibition is focused on the little-known Battle for Hong Kong – the brutal World War Two battle for the city with Japanese forces. 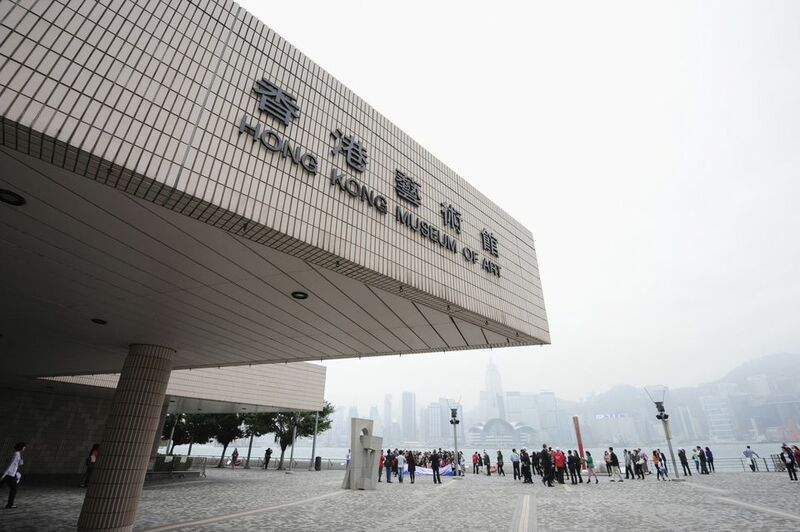 One of the best collections of Chinese Art anywhere in the world featuring a rotating collection of nearly 15,000 items, the Hong Kong Museum of Art (official site) is probably the most renowned of the city’s museums. Its collection of Chinese antiques is perhaps the museum’s most impressive exhibition, where you’ll find everything from traditional ceramics and glassware to a Mandarin costumes and bamboo carvings. The museum also houses a Chinese fine art exhibition, an extensive calligraphy collection and an intriguing section dedicated to Hong Kong Art spanning more than 100 years. Will Discount Cards in Hong Kong Save You Money?